The Fresno alien, aka “the nightcrawler” footage was taken in Fresno California. 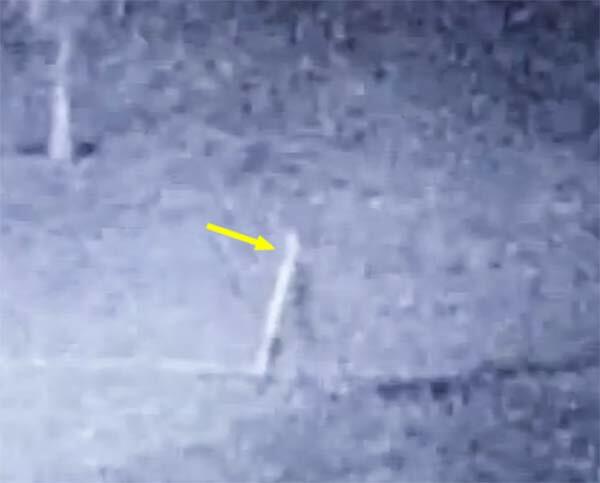 The family that captured this remarkable footage was always hearing there dogs bark at night. So they decided to put a security camera on there garage over looking the front yard. Hoping to capture whatever it was that was making the dogs bark. One night the dogs outside started to go crazy, so in the morning the family went over the footage, they were not only shocked at what they saw, they were scared. They had no idea what this creature was. So they decided to call the police, the police were no help as they were just as confused. It was not long after the footage was taken that the local news station got a hold of the story and did a report on these strange looking creatures. This footage got worldwide attention, it went viral on all the paranormal and UFO style news channels. They called this Fresno alien “the nightcrawler”, and the name stuck. This footage caught so much attention that even the very popular show Fact Or Faked did a segment on this strange and unusual creature. Fact or Faked is a fantastic show that goes out an investigates paranormal incidents. Such as ghost, UFO’s, aliens, basically anything paranormal that has gotten a lot of buzz. In this particular case they couldn’t call it fake, they just couldn’t reproduce the footage. So if this is a hoax whoever created this stick figure alien did an excellent job. When watching this amazing video you can see how natural everything looks, it just looks like a living breathing flesh and blood animal. They also call this creature a stick figure alien. There have been eye witness reports, video’s, pictures from around the world showing proof that these stick figure, “nightcrawler” aliens do exist. I will make sure to post all the stick figure alien reports soon so stay tuned! Somebody filmed this video in Saudi Arabia. They say this could be a real WITCH. What do you think? The two Saudi police officers came across a mysterious entity. What you see in the video is a hostile military area where no civilians live. The chilling reaction of the police seems to be genuine. Someone called this video something like "a real witch found in India" but the language of these men doesn't sound indian at all. This is pretty creepy, even if it is fake. And the terror in the guy's voice does sound real. Sounds like he's apologizing to it and begging it to leave him alone. HAVE A LOOK AT THE VIDEO BELOW.